One of the holy grails in mobile technology is that of of making a truly waterproof device. 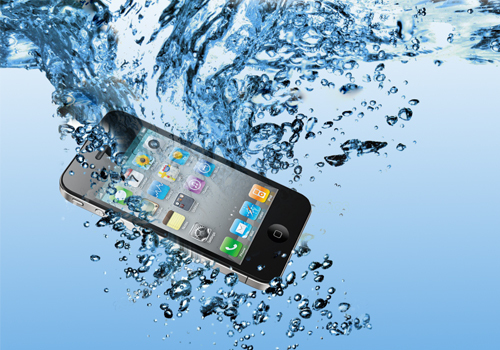 We’ve seen many attempts at waterproofing a device and we’ve even seen claims of truly waterproof devices. Unfortunately more often than not these attempts result in water resistant devices that are not truly waterproof. Sony was recently forced to change their previous statements about many of their devices being waterproof and is now advising against using them underwater. Samsung released the Samsung Galaxy S5 as only water resistant. Their S5 and S6 Active line are both waterproof but are only available from AT&T. Almost all of these waterproofing methods result in obnoxious flaps on the device charging ports or other minor inconveniences. Apple has a tendency to come to the game late on new innovations but even as an Android fan I do have to say that quite often these late innovations are well done. If they can pull off this latest one it may be the best waterproofing concept I have seen as of yet. Recently Apple applied for a patent on a new method of waterproofing a device by covering the device ports with a “self-healing elastomer” made from silicone. The port would remain covered until something (like a charger or headphones) is inserted through it. When removed the cover would “self-heal” and would reseal over the port to protect it from water and dust.